Just one month into this new year and we’ve already seen God do some amazing things in Watermark Kids. Whether it was the hundreds of families engaged in trying to learn the names of the books of the Bible together or the thrill of families worshiping all together at Watermark Kids Live or just the abundance of kids joining us every Sunday this month, we are in awe of what God is doing and can’t wait to see what the rest of 2014 has in store. Here’s the scoop on what you have to look forward to in February! In January, we ended our month-long look at “Wisdom” by learning that seeking after true wisdom will always lead us back to Jesus. Why is that? Because when God gives us eyes to see how unwise we really are and that the consequences of our foolishness are separation from Him forever, we realize that we don’t just need good advice . . . we need a Rescuer. That leads us perfectly into this month’s godly character trait of “Righteousness”. The message the world tells us is that if we do our best and try to be good, then we should be able to earn our way out of our sin, earn our righteousness. But through the life of Abraham, we’ll learn that “our works don’t work” and that it is simple, childlike faith that God credits to us as righteousness (Genesis 15:1-6; Romans 4:5). Then we’ll look at a rich man who thought that his knowledge of the law would save him only to find out that “making it by the law is flawed” (Mark 10:17-29). In week 3, we’ll listen to Jesus in Matthew 6:1-18 as He says, “Beware! Church won’t get you there!” Finally, we’ll end the month by looking at a sinful woman who admitted her sins and found that “all who believe in Christ are made right” (Luke 7:36-50). These are our 4 “Finish Lines” for the month of February. Begin now memorizing the definition of “Righteousness” with your kids and this month’s memory verse. And pray with us that God might open the eyes of the children at Watermark to the good news of the gospel of Jesus Christ! RIGHTEOUSNESS: Being declared right in God’s sight, no matter who you are or what you’ve done. It’s been 6 months now since we started creating content for this blog in an effort to equip you as parents to teach, remind, and re-teach the lessons and Bible stories that we hope to convey every week. Because of that, we thought it might be a good time to give you some helpful tips on how you can make the most of the resources we’re making available to you. So, here’s 3 ways to take full advantage of the Watermark Family Blog! Tired of asking, “How was your class?” when you pick your child up and getting the standard response, “Good!”? The key to getting better answers is asking better questions. We’ve got you covered. Each week we post the blog on Sunday morning that goes along with the lesson we are teaching in their class that day. Those posts include “Family Discussion Questions” that we would encourage you to use on Sundays on your drive home, over lunch or at dinner that night. This is a simple, easy way for you to reinforce with your kids what they’ve learned that day and learn together as a family. And if you miss a Sunday? You can still use the blog to read the Bible story to your kids and learn together at home as a family! 2. Remind them of the lesson at least once in the middle of the week. Each week’s blog posts include 3 suggestions of simple, creative ways you can engage in conversation later in the week to keep your family thinking about the truths they’ve just learned. Often times, the activities are centered around times you are likely to have every day, whether in the car, at the dinner table or around bed time. You may or may not be able to do all 3 of the suggested activities each week, but pick at least one and plan a time in your week to use it as a way to disciple your kids and grow yourself as a disciple maker in your home. 3. Sign up for reminders! You will not likely remember to visit this site often if you don’t create some simple reminders for yourself. If you are social media savvy, be sure you follow us on Twitter or Instagram or “Like” our page on Facebook where we post reminders throughout the week of ways you can disciple your kids. If an email would be helpful, then simply pop in your email address in the top right-hand corner of this page and we’ll send you an email any time there is a new blog post from Watermark. Somehow, someway, remind yourself to utilize this tool in your efforts to disciple your kids. 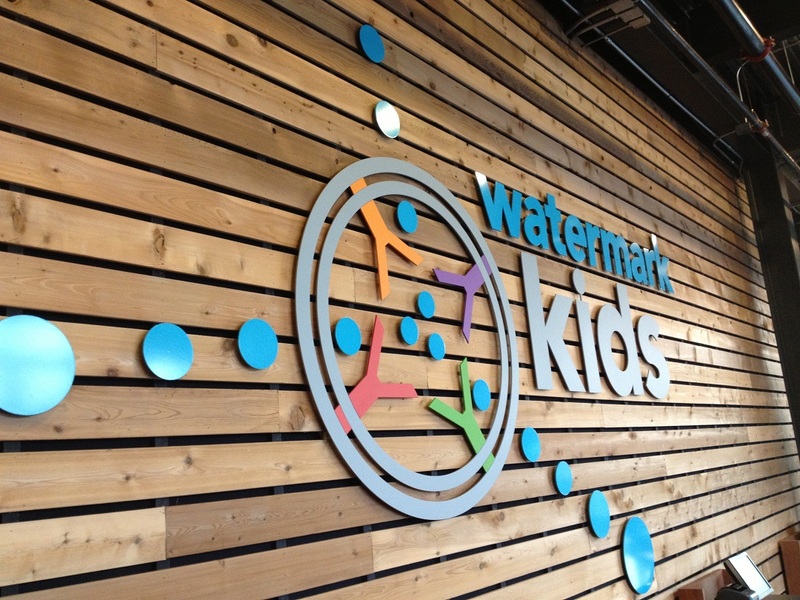 We continue to believe that Watermark Kids is most effective when we are partnering together with parents for the spiritual well-being of their kids. We do the best we can with the hour and a half we have them each week, but your influence is the most valuable one in their lives. Take advantage of this simple tool to carry out the parent job description God gave us in Deuteronomy 6:4-9. February looks to be an amazing month of growing and learning together. We look forward to seeing your family on Sunday! The post February Elementary News: Righteousness & 3 Tips on Using the Family Ministry Blog appeared first on Watermark Community Church Blog.